While 2007's "Curtis " was a commercial success, critically it was panned and it set the wheels in motion for 50's unfortunate fall from the top of the hip hop mountain, for a variety of reasons. The first and most important thing was the music. 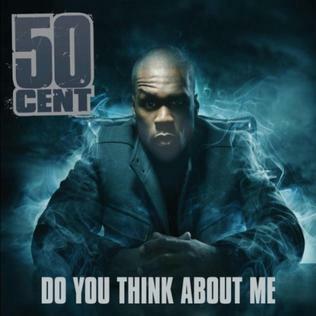 As mentioned during the "Curtis" review, 50 became a little too complacent regarding his sound, as it was more of the same and it lacked that spark, fire, and inspiration of "Get Rich Or Die Tryin". 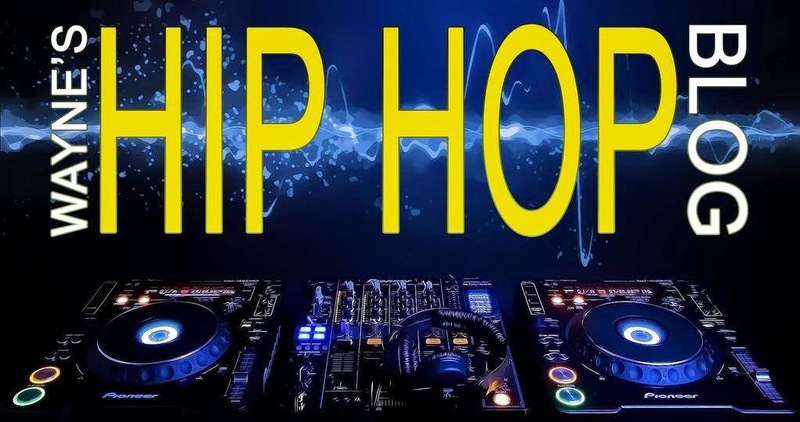 Some also said the richer he got, the lazier he became and honestly, that may be true, and all of this also coincided with the fall of G-Unit as a major force in hip hop. Secondly, a beef started with Rick Ross in 2009, which basically did 50 no favors, considering that as 50's star began to fall, Ross' started to rise and I'll never understand why. 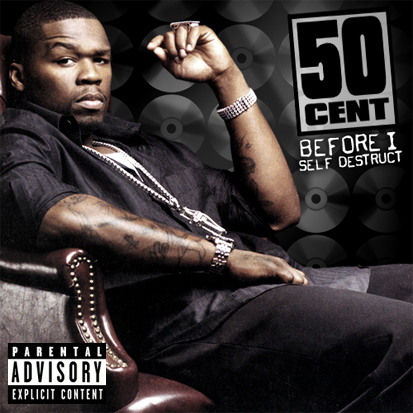 The constant beefs continued to alienate fans to the point that most fans didn't care about what 50 was doing, so add in all of these factors, plus the continuous delays (and leaks) his 4th album experienced and none of the singles really gaining any steam, "Before I Self Destruct" would be 50's least anticipated album. On the bright side of things, he did release the dope "War Angel LP" for free on June 16, 2009, and that's a recommendation in itself. I'll have a little more to say about it later, and here's the link if you want to check it out. I also have a small story before I go into the album. In late 2009, this album was initially not on my radar, but after a while I decided I would check it out. I remember going to a local mall (Southpark) on a Friday, visited the FYE store and listened to samples of the album. I didn't get the desired effect because one side of the headphones did not work, lol. So I went home, listened to the album in full, and I thought it was pretty good, so good that I went RIGHT back out to Target and bought the album, lol. All that traveling, lol. Does it still hold up well today? We shall see! One thing 50 knew how to do is make an amped, aggressive opener and that's definitely the case on this appropriately titled banger. He didn't need to start things with a regular "intro" like he did on the previous three albums. This "invitation" was just fine. Time definitely does fly and that is certainly the case as of this post. Very good song here, featuring a well timed Michael Jackson sample, courtesy of "Ain't No Sunshine". Dr. Dre and Mark Batson's dope beat brings out the aggressive lyrics in 50 on this one. He's just firing off lyrical warning shots throughout each verse, showing more fire and inspiration than he had since 2003. To this day I'm still not sure what took place with this beat (produced by Tha Bizness), seeing that it was previously used by Killer Mike and Ice Cube on "Pressure", but it's all good. 50 pulls no punches on this apply titled song, throwing shots at Jay Z, The Game, Young Buck, even the mother of his child felt his wrath here (no one was safe, lol). I don't recall Jay, Buck, or Game responding to this, which is probably what 50 was looking for. Lyrically 50 and Eminem were on another level here, and it worked, which was their best collaboration together since "Patiently Waiting". The "psychotic" content matched up well with Dre's beat. Best song on the album? I think so. When in doubt, through any and every altercation, 50 can count on his lady to get him through any situation. Only this time, his lady would be his gun. This wasn't the first (or last) time a song like this had been made in hip hop, but 50's version didn't bring a fresh perspective, if you will, to the topic. This Team Demo produced joint does bang, and it's a reworking of a similar beat used by Fabolous courtesy of "This Is Family" on his 2007 album "From Nothin To Somethin". Another very good song, slightly on the aggressive side. It was kinda interesting to hear 50 stretch out his flow on this one. It's decent, but nothing more. Even at this point, most weren't as strong as 50, but this song just showed that even with the fall of his popularity, the confidence was still there. This wouldn't get the dancefloor filled like "In Da Club" and "Disco Inferno" could, but as a song it's decent. Havoc usually supplied 50 with some bangin tracks and this was one of them. I could've done without the use of Sugarhill Gang's classic "Rapper's Delight" in reference to the hook. Now when I think about it, remove that and present something different, this would've been a better song as a result. That word swag, which I never really cared for, was really started to be tossed around a lot at this point. I mean this song is ok, but nothing we clearly haven't heard before. It was no surprise that this was the first single released for the album, along with Ne-Yo on the hook. To say that this was for the ladies would be a gross understatement, as they essentially get to hear what it's like to have a baby by 50, before, during, and after the "proceedings". Considering what type of song this is, that's a rather unique picture for the single to be sure. I honestly saw where 50 was coming from here, wondering if an ex was still thinking about me long after the relationship (or in my case marriage) was done. It certainly didn't take me long to get over that, but that's another story. This is also a much better song than the one before it in terms of the audience it's aimed at. A good, fast paced song here. This probably could've worked as a single too. Excluding "Ok, You're Right", it was a little interesting to place the songs catered to the ladies towards the end of the album. This R. Kelly assisted song easily could've been left on the cutting room floor. Even with a few questionable song choices, I still feel this is 50's most underrated album, clocking it at 3.5 stars, down from the intial 4 star rating. It's better than "Curtis" and now when I think about it, I like "The Massacre" a little bit more. As mentioned, 50's career had took a seemingly quick downturn after the "Curtis" album, and I honestly don't think this album was on anyone's radar at the time, and the numerous delays certainly didn't help matters. 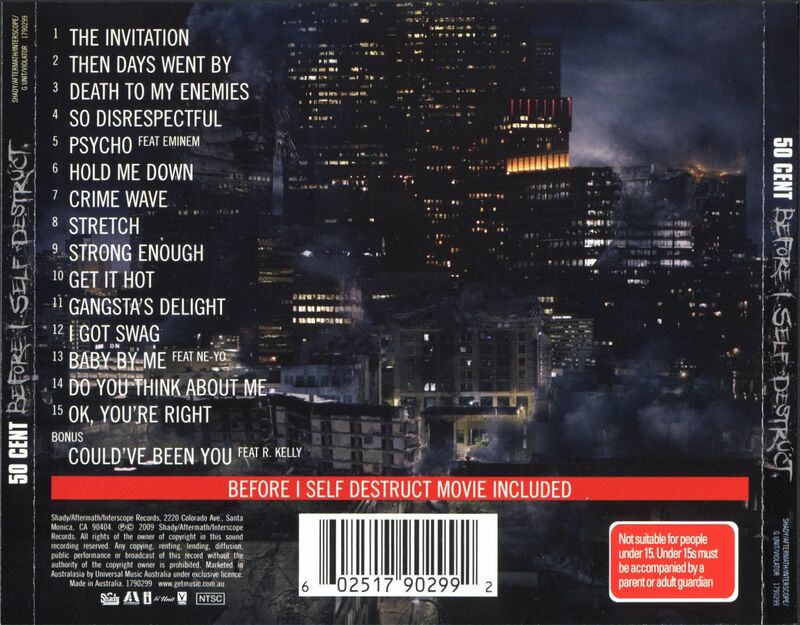 Two very good singles in the form of "Get Up" and "I Get It In" were inexplicably nowhere to be found on this album, and had they been included in the place of "Could've Been You", "Baby By Me", "I Got Swag", probably "Stretch" and "Hold Me Down", the album would've been a little more balanced and better. Also not helping matters was the bonus DVD movie that was included (same title as the album) and the LESS said about it the better, clearly one of the worst "movies" I'd ever seen. Instead of including that abomination, 50 should've included the "War Angel LP" as a bonus for the first 100,000 buyers or so, as opposed to offering it as a free download. Overall I'd recommend it, even with some skippable material. Finally, "Before I Self Destruct" moved 160,000 units in its first week, and when you consider how WELL 50's previous three albums did in their first weeks, this had to have been a disappointment. It's been certified Gold as of April 2014, moving a total of 512,000 units.